Since I have disposed of this book, I thought it best to review it here and now rather than later. 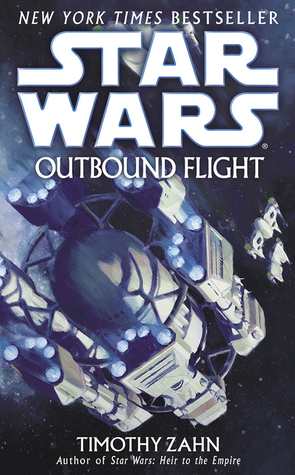 Star Wars: Outbound Flight focuses on the grand, enigmatic experiment which occurred just before the Clone Wars began in the Star Wars mythos. 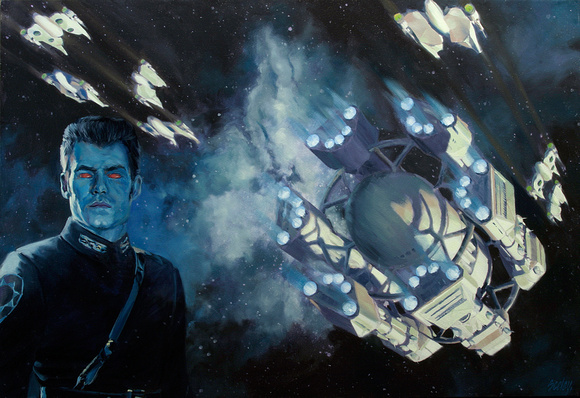 A Jedi project headed by Master Jorus C’Baoth, Outbound Flight was an ambitious attempt to leave the Star Wars galaxy, planting colonies on the way out. Unfortunately, Outbound Flight never got past the edge of the Outer Rim into Wild Space. 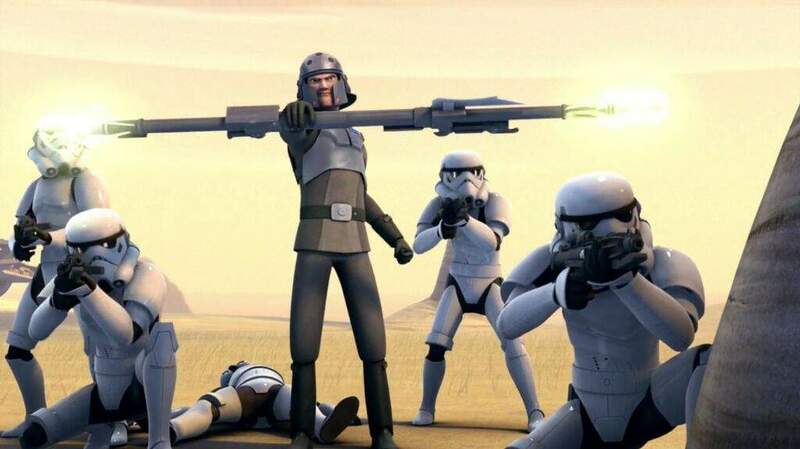 They met a Chiss force led by Thrawn and were wiped out. After reading Survivor’s Quest, which I will review here in a little while, I really wanted to know what happened aboard Outbound Flight. So when I saw the book in a store, I bought it without hesitation. Outbound Flight, sadly, was something of a disappointment to me. I have heard from Mr. Bookstooge about Zahn’s limitations as an author, not to mention experienced them when I finished his promising Quadrail series. Outbound Flight is, unfortunately, in this category as well. I think the reason I did not notice his limitations in his other works – or put up with/ignored his weaknesses in his other stories – is because the characters were so engaging that these faults didn’t annoy me. Zahn’s rendition of Mara and Luke, their relationship, along with Han and Leia and their relationship, is always fun and interesting. So I think that usually I can give Zahn a pass on the slower parts of the books he wrote which were previously reviewed here. Outbound Flight, sadly, lacked that staying power for most of the tale, though I did grow to like a couple of the characters herein. 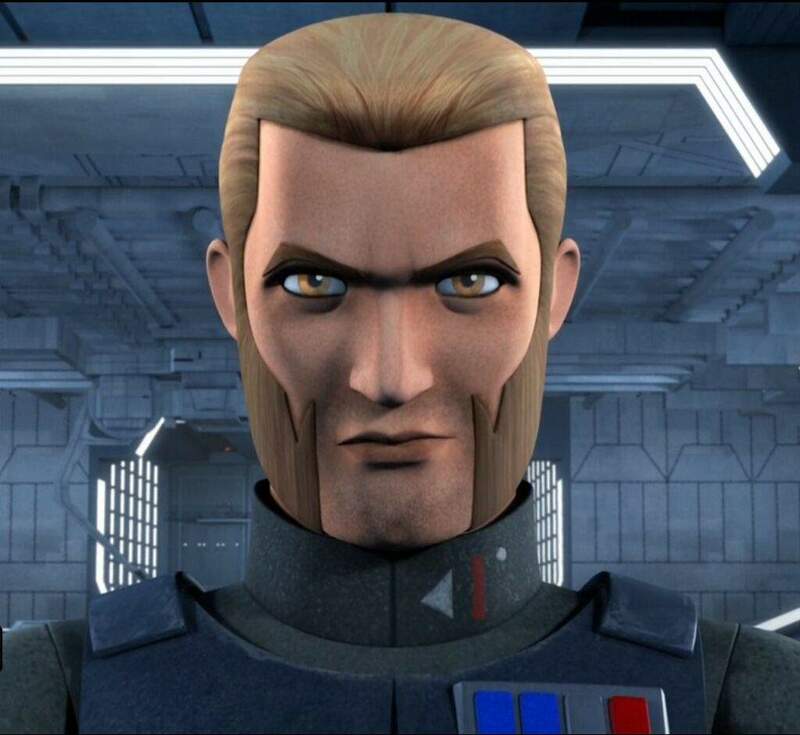 Before I discuss the story, I have to say one thing in defense of Zahn. Looking up the submissions guidelines for Baen and the other publishers of his work, I see that they require something on the order of 100,000 – 150,000 word limits on their manuscripts. That is a lot of work to fill out; creating a story which meets criteria like that means you get a thick book in the end. (My small paperback copy of Outbound Flight itself was almost an inch thick!) It may not be that Zahn is a weak author so much as he works with publishers who refuse to take stories slimmer than an inch in the spine, and he cannot transfer his stories away from those companies due to contracts or something. I could very well be wrong, of course. And, since I do still enjoy the majority of Zahn’s work, this is probably personal bias speaking. But it is something I have been thinking about lately due to the fact that some of Zahn’s books work fine despite their length while others do not. I can only assume that those stories which “feel off” do so because they should have been shorter, but he had to make them longer than was healthy for them to satisfy the requirements of his publisher(s). The crew makes a blind jump into hyperspace, but the Hutt follows them. What neither of them realizes until the freighter is knocked out and the Hutt’s ship destroyed is that they are in Chiss space. 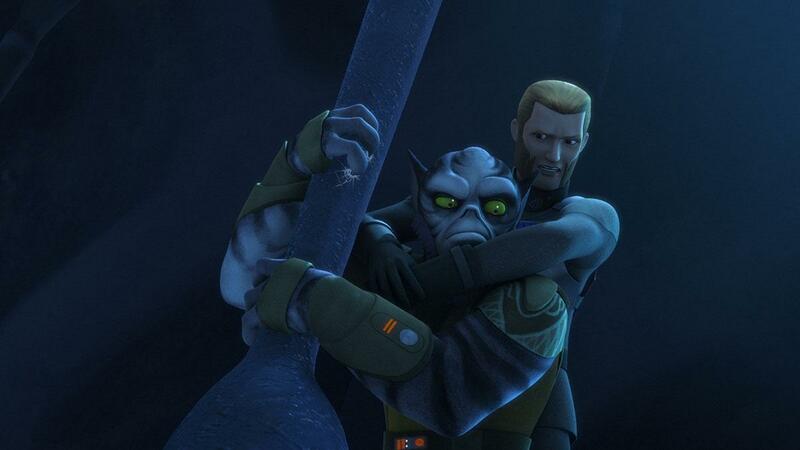 Actually, they are in Thrawn’s lap. He has Car’das and his two crewmates brought aboard his ship, the Springhawk, where they learn he can speak Sy Bisti. Thrawn eventually invites them to stay for a little while longer so he can learn Basic, paying them for their time with some loot taken from slavers. Car’das agrees to the bargain on his captain’s behalf, but asks to learn the Chiss language as well. Meanwhile, back in the Republic, C’baoth is fighting with the bureaucracy to get the Outbound Flight project approved. His apprentice, Lorana Jinzler, does her best to keep up with him but it is clear that she isn’t pleasing him any more than the irritation of the bureaucracy. 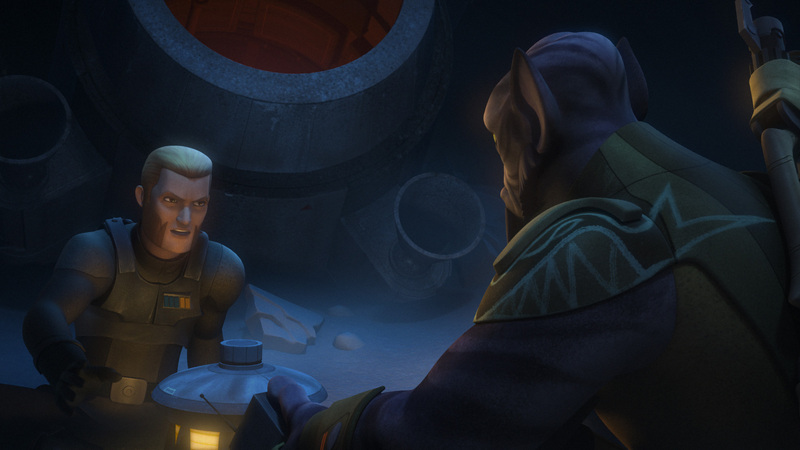 Instead of getting what he wants, C’baoth is shunted to work on some negotiations on Brolf…. 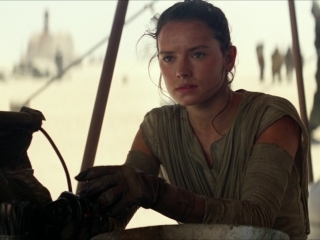 Only to find Obi-Wan Kenobi and a teenage Anakin Skywalker are waiting for him. Things sort of spiral out from here – it turns out that Palpatine wants C’baoth out of the way because he is so strong in the Force and has Dark Side leanings. (This book shows us quite clearly how the clone went mad; the original beat him to it.) You don’t want a rival when you are trying to take over the galaxy, after all, and Outbound Flight is the means Palpatine plans to use to get rid of C’baoth – along with a whole lot of innocent people. Car’das’ character was wonderfully expanded in this novel, and I really enjoyed reading from his perspective. Watching him interact with Thrawn, who has the hint of Dark Side leanings of his own in this book, was great, too. Lorana was another interesting character who grew more likeable the longer I read about her, and Zahn handled Obi-Wan’s perspective well while giving us hints about Anakin’s eventual fall to the Dark Side. None of this, sadly, saves the book from its rather tedious pacing. The novel probably would have worked better if it was shorter, but I don’t think there are very many Star Wars books out there which are short – unless you count the ones meant for children. Even the short story collections have very thick spines. I’m not casting Outbound Flight into exterior darkness, though, because it fleshes out the above characters so well and explains what happened to the project. My local library has received this copy so that others can read it and (maybe) enjoy it more than I did. If long books or Zahn’s stretching beyond his limits bother you, then this book will probably not be something you absolutely need to read – unless you want more original Expanded Universe background on Outbound Flight, Thrawn, and Car’das. (I really liked him in this novel – did I say that already? He was extremely interesting and well-developed here.) If even that doesn’t appeal to you, then please avoid this book. Well, that’s it for now, readers; I am wiped. I got absorbed in the book while I was writing this in order to keep at least some of the details straight, so this is quits for me. Until next time, may the Force be with you. This entry was posted in Book Reviews, Star Wars Characters and Stories and tagged Anakin Skywalker, Book Reviews, books, Chiss, Dark Side, Jedi, Jorj Car'Das, Jorus C'baoth, lightsabers, Lucasbooks, Master Obi-Wan Kenobi, Obi-Wan Kenobi, Outbound Flight, sci-fi books, Star Wars, Star Wars Characters and Stories, Star Wars: Outbound Flight, The Force, Thrawn, Timothy Zahn on June 8, 2018 by The Mithril Guardian.